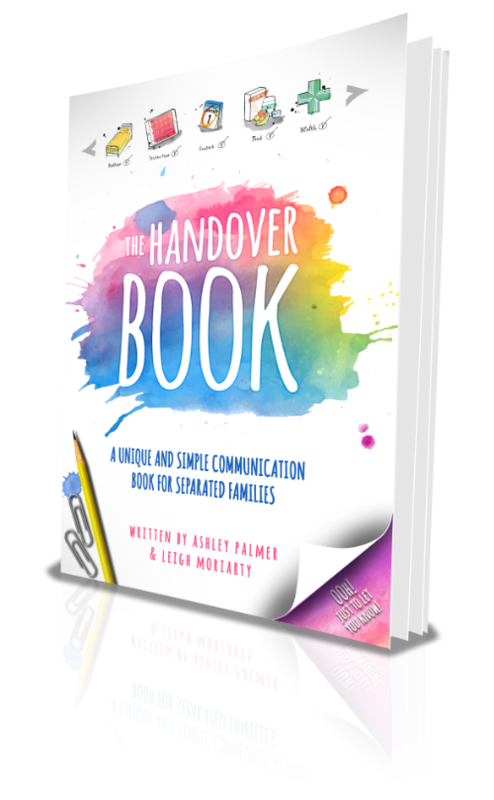 What is a Handover book session? It helps everyone involved to know what is happening and when. It encourages children to have a voice and express their needs. It encourages children to talk about their experiences in both homes. It acts as a valuable reference to go back to. It sets out practical decisions about the children: contact arrangements, education, health care, etc. the cost can be divided equally between parents. It will enable you to update information as and when needed. It will offer children the opportunity to see their parents working co-operatively together. It will reduce the need for a discussion between parents at the point of handover and reduce the likelihood of conflict. It supports a successful mediation outcome thus reducing the necessity to go through the family courts. It can be completed in the outcome session. the cost divided equally between parents. It is continuously updated as the child’s needs change. It will take questions out of the handover and children will experience less conflict. Ashley and Leigh are qualified Psychotherapists, Child and Family Consultants and Family Mediators. They have a wealth of experience when it comes to working with separated families in the public and private sector. Over the years they have helped many families to build their own handover books. Realizing that this was a big task when families already have so much to think about they decided to build a ready-to-go Handover Book. This book has been designed to ensure that both parents will always be aware of what is happening in their children’s busy lives. It’s a way of communicating the important things in a non-blaming, non-critical and constructive way. Ashley is a Psychotherapist, Family Law Consultant and an accredited Family Mediator who specialises in Child Inclusive Mediation. Growing up in a home that was effected by family conflict has given Ashley a passion for helping parents to find better ways to separate. Ashley divides her time between Hampshire and Central London. Leigh is regularly instructed as an expert witness within the context of the Family Courts and has a special interest in creating positive outcomes for parents and their children following separation and divorce. Originally from London, Leigh now lives beside the sea in Poole, Dorset with her husband and son. “An excellent book for private law family matters. This book provides child focused, expert guidance and helps facilitate communication in key areas where tension, misunderstanding and conflict often occur. The Handover Book is being regularly referred to in a court by judges and practitioners in order to provide part of a formula to assist parties moving forward”. The great thing about this book is that it very cleverly helps the parents to relate more amicably with each other. It’s subtle and implicitly brings a child focus that will improve the lives of children in separated families.